The Selling Agency What do buyers want? Stop Selling and Start LEADING! Here’s a new approach for the profession of sales. For years, we’ve seen the reputation of sellers slide into a negative, “pushy” or “obnoxious” stereotype of the “don’t-take-no-always-be-closing” pushers portrayed in movies such as The Wolf of Wallstreet, The Boiler Room, and Glengary Glen Ross. Personally, it pisses me off that so many sellers before me have created this perception and made it harder for caring, thoughtful, and professional sales pros to do our jobs. Watching people cringe when they talk about sales encounters with shifty of unscrupulous sellers really makes me mad. Selling is the first opportunity we have to add value to our customers’ experience. Selling is articulating your value in a way that is valuable to your customers. 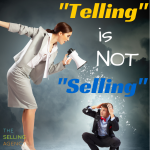 Selling is persisting with integrity. 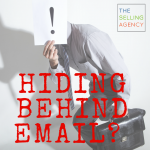 Selling is not pushy, manipulative, or shady techniques. Selling is helping people buy. It’s helping people make informed decisions. We have to be better sellers and lead our customers to decisions that are the best fit for their needs. So yes, Sellers are Leaders. We need to lead the efforts to connect with our customers. Inform them, educate them, enlighten them. We need to lead their teams to come together and discuss their problems in a way that they haven’t before. We need to lead our customers, our production partners, our administrative colleagues in the comprehensive experiences we deliver to our customers. Sellers, NOW is the time to be leaders. To make this shift, I have a great resource to share with you. My colleague Deb Calvert, President of People First Productivity Solutions, did extensive research with the creators of The Leadership Challenge® Jim Kouzes and Barry Posner. The result is their new book, Stop Selling & Start Leading. Instead of reinforcing the typical behaviors of selling, this book helps you define those key leadership characteristics to collaborate and delight your customers – in alignment with the new ways they go-to-market and make purchasing decisions. Buyers have more power, information, and control over the sales process than ever before. How can we sellers respond to build trust, get in the door, and deliver on buyer desires in a way that is true to their process and provides leadership? 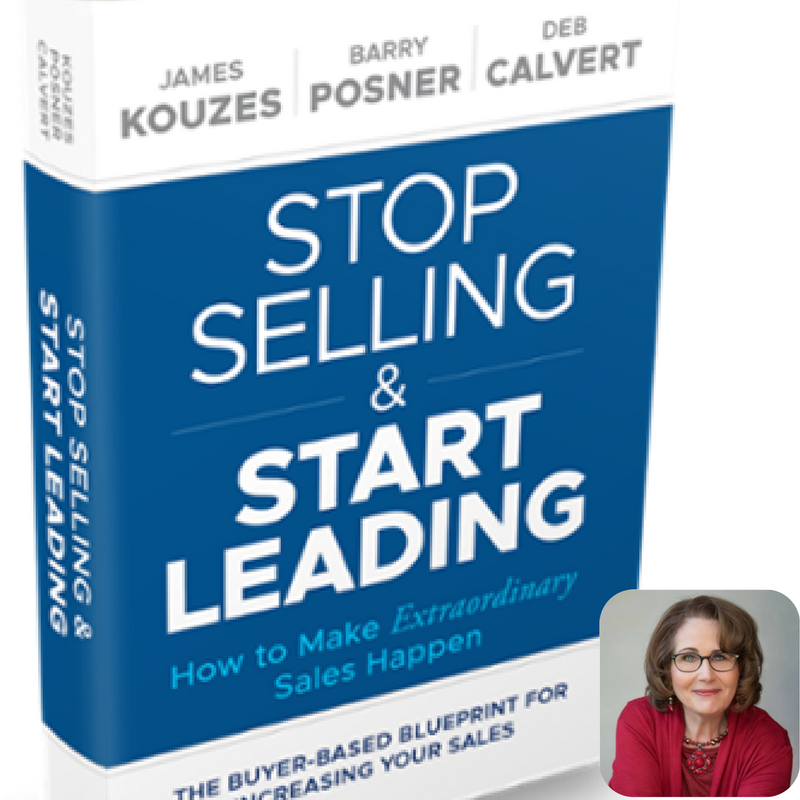 By applying the research of experts like Deb Calvert, Jim Kouzes and Barry Posner you’ll find in Stop Selling and Start Leading. Pre-order your copy for you or for your sales team and get ahead of the competition. Until next time, stop hoping and start LEADING (but yes, keep SELLING too – you know what I mean)! PS – How do YOU demonstrate leadership in sales? Comment below! 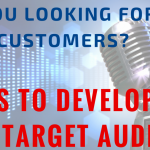 What’s Your Sales Focus for 2018?